Are you as sick and tired of looking at the likeness of He Who Will Not Be Named as you are of having to clean your dirty microwave oven? I feel you. Recently, it fell to me to scrub exploded ham off of the interior of the office microwave (don’t get me started) and that was all kinds of not fun. 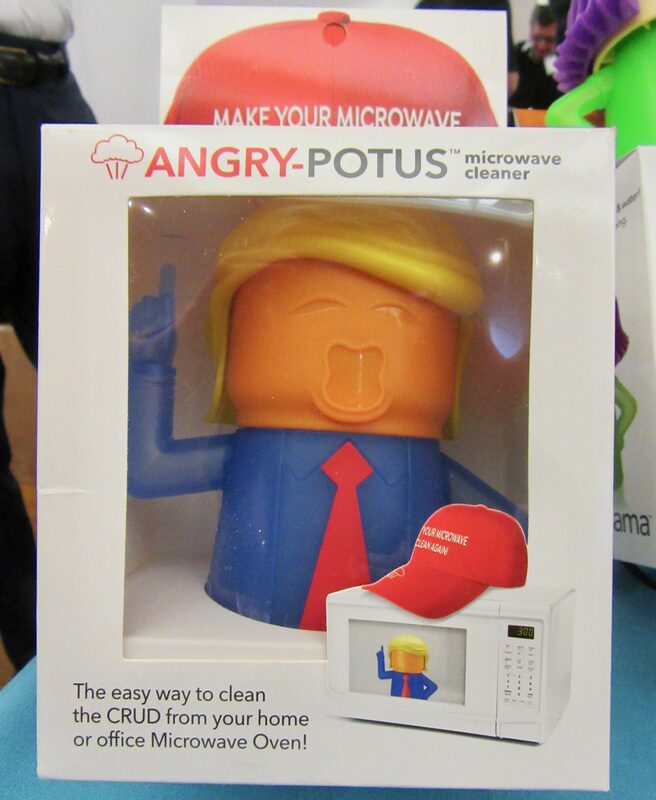 As as much as I dislike being exposed to the face of the one I refer to only as Dump, let me tell you about the Angry POTUS Microwave Cleaner, where two evils come together for a good cause: getting dried crud off of your microwave’s walls while poking fun at the Dump. Win Win! 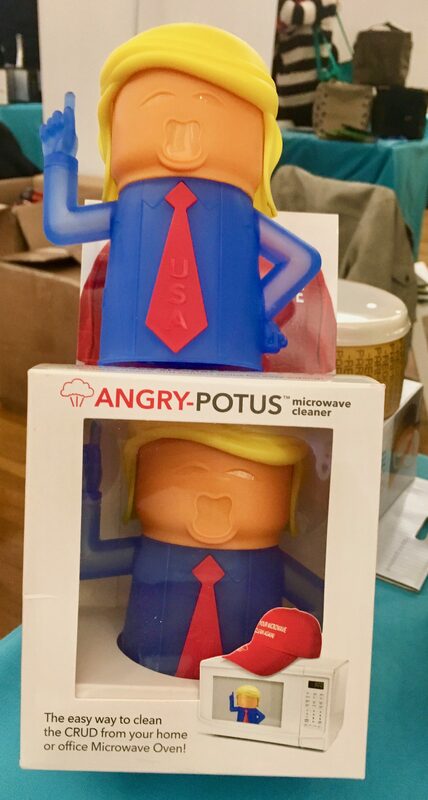 Created by the hilarious folks over at New Metro Design, Angry POTUS Microwave Cleaner eliminates the need for elbow grease from one of your kitchen’s more unpleasant tasks. 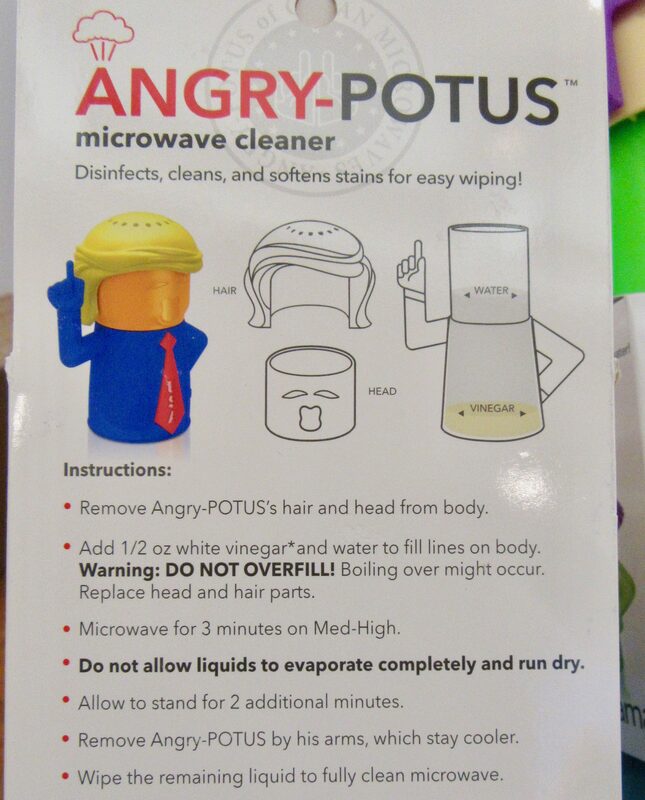 Even better, Angry POTUS will Make Your Microwave Clean Again without the use of any harmful chemicals. Just add vinegar and water, then microwave for 3 minutes: Et Voila! The hot steam will come out of POTUS’ head (just like in real life), softening microwave dirt and stains for easy cleaning! Step-by-step instruction for using Angry POTUS, which are printed on the back of the box, are quite easy to follow! 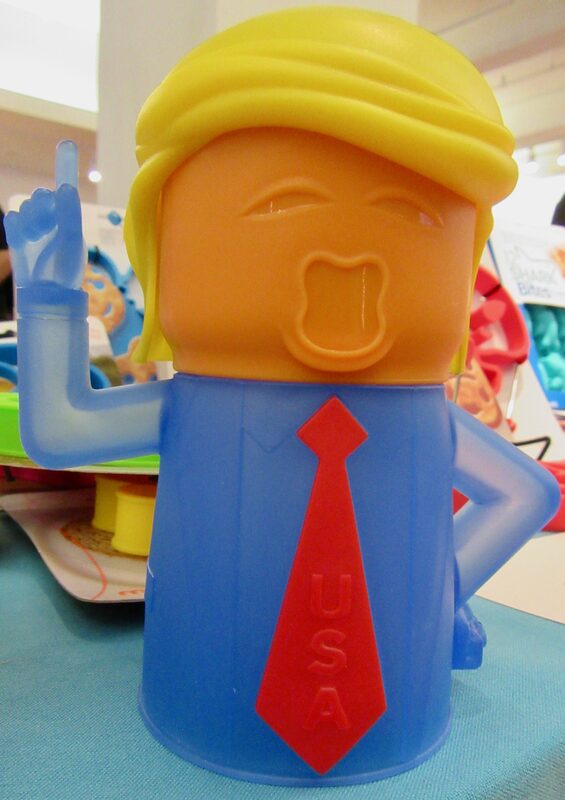 Angry POTUS is dishwasher safe! Angry POTUS hat is not included. This is not Fake News: Angry POTUS Microwave Cleaner is available for just $14.95 from Amazon. Click Here to get yours today! Photographed at the International Home + Housewares Preview Press Event tomorrow in New York City.